• Botulinum Toxin Type A. In other words, Facial Treatments. Facial Treatments is used in blocking muscular nerve signals. This relaxes the muscle which reduces fine lines and wrinkles. With 6.7 million procedures done in the United States alone from 2013-2014, this was the most popular procedure. • Soft Tissue Fillers. 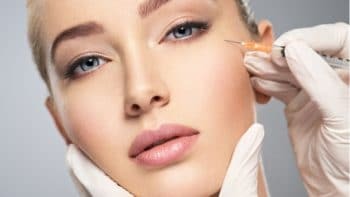 Dermal fillers both reduce fine lines and wrinkles as well as, repairing the overall volume and proportion of the face. This also adds fullness to the lips, as well as contouring and reducing any scarring or dark spots. Two million procedures have been performed from 2013-2014. A 3% increase since 2012. • Chemical Peel. This procedure improves the texture of the skin, by removing damaged outer layers. 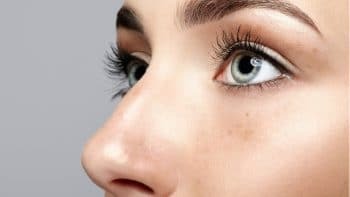 Whether you suffer from acne, acne scarring, age spots, fine lines, wrinkles, de-pigmentation, dry skin, scars or freckles, this minimally invasive procedure will help. It has been carried out 1.2 million times last year. • Laser Hair Removal. Unwanted hair is removed permanently, with this non invasive technique. Highly concentrated light is employed to penetrate the hair follicles. The intense heat of the laser damages the hair follicle, preventing further hair growth. One million procedures were performed from 2013-2014, another 3% increase on the previous period. • Microdermabrasion. Skin rejuvenation is used to treat scarring, hyper-pigmentation, acne, wrinkles, even stretch marks. It gently removes the outer layer of your skin. 800,000 procedures were performed in 2014, a 9% decrease since the year before. 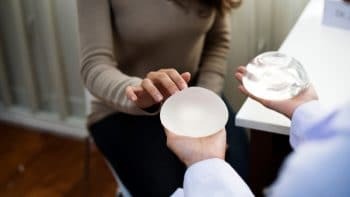 • Breast augmentation. This procedure can enhance your breasts, improving the overall proportion of your body. For whatever reason, over 286,000 procedures were carried out from 2013-2014 in the US, a 1% decrease for the previous period. • Rhinoplasty (Nose Reshaping). Rhinoplasty was created to improve the look of your nose, to achieve nasal asymmetry. This procedure is down 2% last year but still, 217,000 procedures were performed. • Liposuction. Lipoplasty can reshape and slim your body, giving contour and proportion. Fatty deposits can be reduced in any area with liposuction. 210552 procedures were performed in 2014, a 5% increase over the previous year. • Eyelid Surgery (or Blepharoplasty). This procedure is used to get rid of loose, sagging skin and also to get rid of bags and excess skin around the eyes. Over 206,000 blepharoplasties were performed from 2013-2014, a 4% decrease. • Facelift (or Rhytidectomy). This procedure can not only rejuvenate you but also reduces fine lines and wrinkles. It can remove excess fatty deposits under the chin and jaw as well. With 128,266 procedures performed in 2014, there was a 4% decrease since 2013.